In that order, with a honourable mention for the : Pappano with Kaufmann/ Harteros . It is the 1953 I have. Got it very cheap as a punt. It's a testament remaster. In the pictures Callas next to Simionato looks huge! I'm guessing that this is the photo! Simionato was quite short and small in stature and usually wore lifts on stage to conceal the fact. However, she always packed quite the punch!!!! It’s a matter of perspective! Callas is in the foreground, making her look bigger - but she was indeed taller than Simionato. She looks quite athletic, too, ready to pounce. Last edited by MAS; Oct-11-2017 at 16:38. Hmmm The well upholstered Callas here is now described as 'quite athletic'. Interesting perception. Last edited by DavidA; Oct-12-2017 at 09:25. Last edited by Rossiniano; Oct-12-2017 at 15:54. 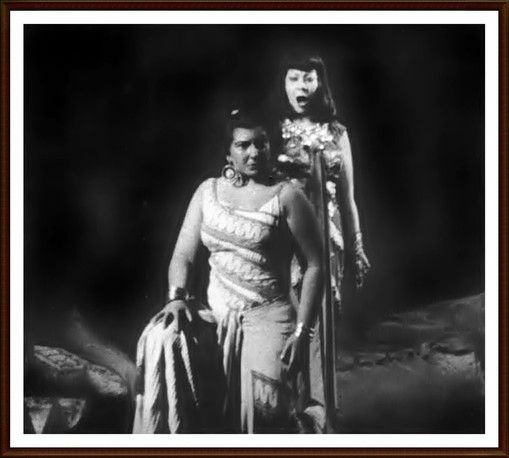 No, DavidA, I wasn’t referring to her size - we can all plainly see Callas was in her pre-1954 girth. I referred to her stance, the simmering power under the surface, ready to be unleashed by Amneris’ prodding. Last edited by MAS; Oct-15-2017 at 23:02. 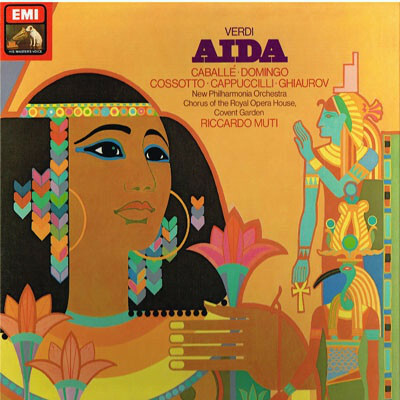 I’ve never heard that version, but I’d be curious to know if the non-Italian cast is at all idiomatic in this music (I think we can accept Mr. Domingo as being almost Italian). I know Miss Tomowa-Sintow made somewhat of a specialty in Verdi, but have not heard her much beyond a Forza and Don Carlo at San Francisco Opera in the mid-seventies from which I remember nothing. I did, however like her Donna Anna. I know that HvKarajan liked her a lot! Last edited by MAS; Oct-17-2017 at 01:29. Tomowa-Sintow and Fassbaender don't sound very idiomatic, but also not Teutonic or out-of-style. TBH I don't care much for idiomatic singing if the performance is great. Which Italian soprano has ever surpassed Gundula Janowitz as Elisabetta in Don Carlo on disc? I also love Placido Domingo in some German roles like Florestan or Erik though his German sounds like Julio Iglesias . TBH I don't care much for idiomatic singing if the performance is great. Which Italian soprano has ever surpassed Gundula Janowitz as Elisabetta in Don Carlo on disc? I don’t think many people would agree on Janowitz being the best Elisabetta in Don Carlo, bar none. Do you mean better than Caniglia, Tebaldi, Freni, Scotto, Tucci, Stella, Ricciarelli, Dessi, Frittoli, Millo? Not to mention non-Italians but more suited to the role than Janowitz IMO like Caballé, Arroyo, Margaret Price, Mary Curtis Verna, and I’m sure I’m forgetting some. Last edited by MAS; Oct-18-2017 at 00:58. I doubt that sopranos like Curtis Verna, Stella or Frittoli sang ever in the class of Janowitz, no matter what role. Freni is a wonderful Zerlina. But let's wait until your Don Carlo from Vienna arrives and discuss it then :-).